Christmas comes twice a year in the Boland, with the historic town of Tulbagh – the fourth oldest town in South Africa – coming alive at the annual Christmas in Winter festival on 23 and 24 June this year. 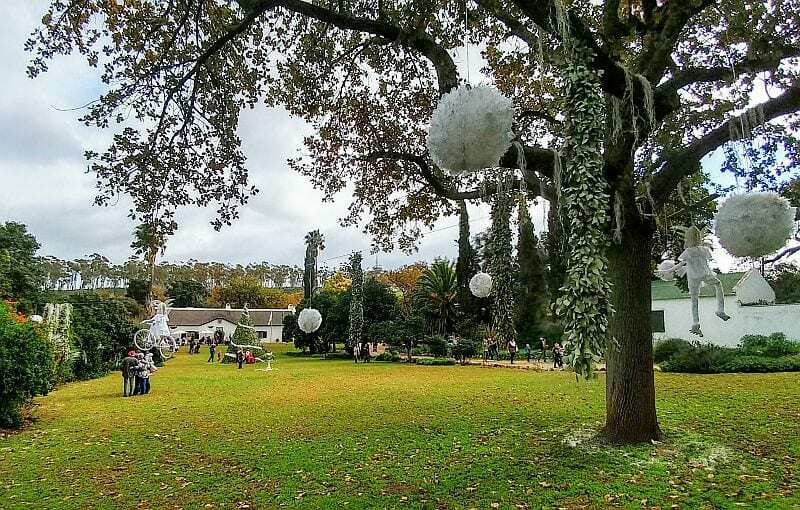 The festival gives everyone the chance to experience a truly South African “white Christmas”. 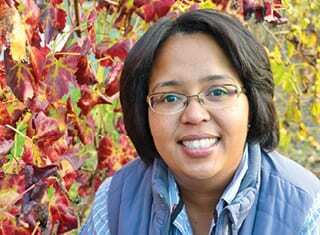 I recently had the privilege of attending the Christmas festivities with my family thanks to Tulbagh Tourism. Luxurious accommodations at Morgansvlei Country Estate sheltered us against the chilly nights with a fully stocked fireplace and hot showers, and our host Lida Hanekom ensured we were well cared for (be sure to ask about her adventures guarding rhinos in Mozambique!). Our porch overlooked a magical, mist-encrusted pond behind which rose a spectacular view of the Winterhoek mountains. Anything less might have kept us snuggled under the covers with a thick book, but the countryside beckoned with riches to discover. A visitor’s map of the region is literally dotted with wine farms, restaurants, sites and trails to explore. 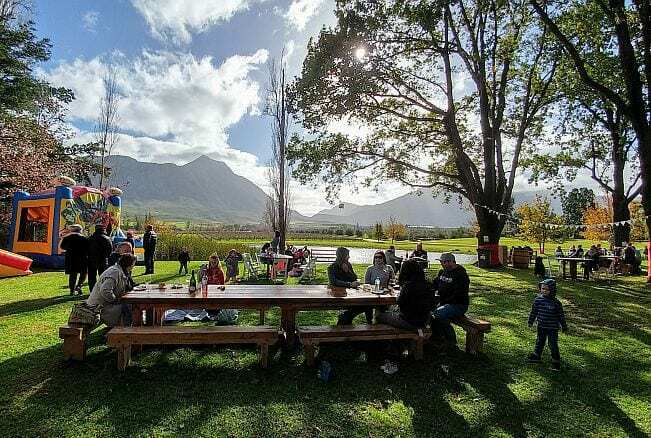 Although no snow could be seen on the distant peaks, Tulbagh’s visitors had no cause for disappointment and arrived in their numbers. A coffee vendor who pitched his stall near the top of Church Street said this was the busiest he’d seen the festival in years. Each year he and his wife make the journey from their home in Fish Hoek with their dogs to enjoy an extended weekend in the majestic Tulbagh valley – a wonderland cradled between mountains on three sides. All along Church Street, the cornucopia of local wares and flea-market stalls are interspersed with meticulously kept architecture. Their timeless presence only reinforces the suspension of disbelief, and each house contributes something special for the occasion. Anyone interested in delving into the town’s history can attend the video tour at the Earthquake Museum featuring interviews with survivors of the devastating earthquake which hit the town in 1969. It’s thanks to the subsequent restoration efforts that the town now preserves some of the best examples of Cape-Dutch, Victorian and Edwardian architecture. One of the oldest buildings, the Oude Kerk Volksmuseum (1743), provided for a warm welcome with the sounds of traditional Christmas carols inviting us to join in. The experience ended in a fascinating discussion on church music and a tour through its impressive collection of old Cape furniture and colonial artefacts. 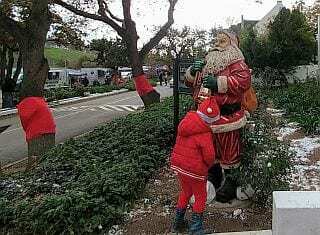 A leisurely walk down the street brought us to the great lawn of Paddagang restaurant, where a decorated Christmas tree complete with Father Christmas posing for photographs greeted us. A Christmas tree (or two) at Paddagang restaurant, where adults could enjoy fine craft beer and live music. 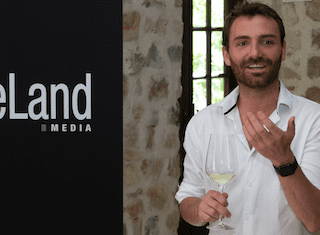 That evening we were treated to a cozy dinner at Readers Restaurant, where Cordon Bleu chef Carol Collins prepared a Christmas menu of wonderful surprises full of flavour and variety, not to mention a sampling or two of the region’s wine. The atmosphere bubbled with laughter and conversation, as is surely the case at any other time of the year. Oh, and don’t mind the cats. They were there first. Our weekend was perfectly topped off on Sunday with a Christmas long table at the beautiful Saronsberg Cellar, where we made some new friends and became acquainted with winemaker Dewaldt Heyns’ worst-kept secret, the Weathered Hands Shiraz. It’s worth trying to negotiate for a few bottles while you catch up with him during a cellar tour. Just be sure to head upstairs afterwards to stroll through their beautiful art gallery. With a programme filled with wine tastings, cellar tours, live music, great food and vineyard tours, Father Christmas really catered for every taste and schedule. We couldn’t even cover a fraction of what was on offer, which means we’ll definitely be back next year. In fact, why wait for next year?